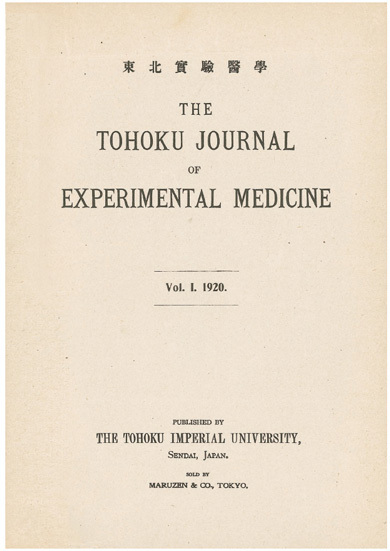 The Tohoku Journal of Experimental Medicine (TJEM) was founded in 1920 by professors of Tohoku Imperial University, Medical School. The text was initially written in one of three languages, German, English, and French. Since 1956 (from Volume 64), English is used as the official language for the TJEM. The TJEM has been published continuously, except for the year of 1946 just after the World War II. We are pleased to present the original contents of Volume 1. You can enjoy the papers in the Volume 1 as PDF.